Archeological data shows that primitive dental implants may have been in use during prehistoric times. Implants were surprisingly common by 600 AD. The 1970s brought us modern dental implants, and they really became popular in the 1990s. Today, they are considered the gold standard to replace missing or failing teeth. 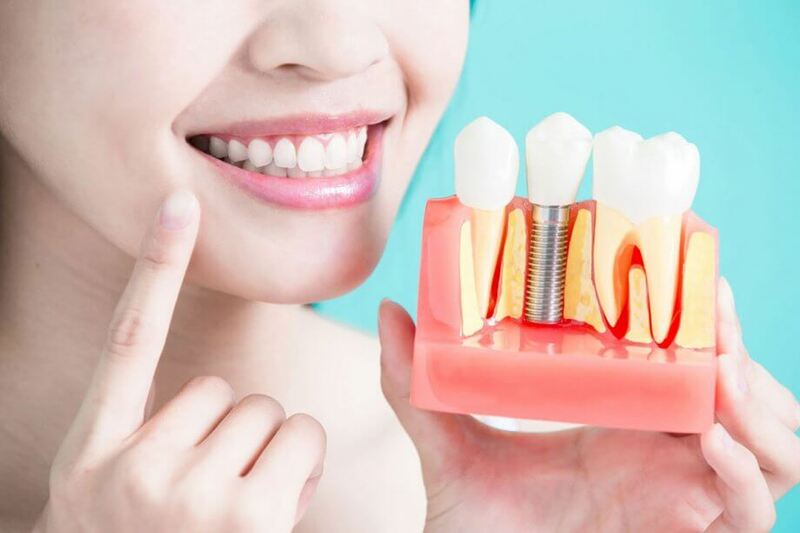 Yet despite their long history and current popularity, dental implants remain the subject of numerous myths and legends. Here is the truth behind 4 of the most common myths about dental implants. Fact: Dental implant surgery is considered a minor oral surgery, and most patients claim that it is far less painful than having teeth extracted. In fact, a skilled oral surgeon working with the latest technology can render the procedure nearly pain-free. If you are prescribed pain medication, take it as directed. It is much easier to stay ahead of pain than to try to fight it once it occurs. Most people are back to work within 72 hours. Fact: The up front cost of dental implants is higher than that of such solutions as dental bridges or dentures. However, those restorations only last an average of 10 years. Dentures also cause jawbone loss, requiring an annual relining, while dental bridges raise the risk of fracture or decay in the supporting teeth. Dental implants actually improve oral health by replacing the tooth roots, and they are the only solution that can last a lifetime. Be wary of “too good to be true” pricing offers. You do not need to seek the most expensive dental implants in town, but the cost should be reasonably close to that of other local providers. Fact: It is true that dental implants can only be placed in a healthy mouth, so we must correct other oral health issues such as gum disease or tooth decay before we begin. In addition, certain underlying conditions such as diabetes or bleeding disorders can raise the risks for any surgery, so they should be under tight control. Finally, if you lack sufficient jawbone to support dental implants, you may need bone grafting first. Within these parameters, though, virtually anyone can become a candidate for dental implants. Fact: Dental implants are nearly impossible for the body to reject, as they are made from biocompatible titanium. In very rare circumstances, a dental implant may not fully fuse with the jawbone. However, success rates are approximately 95 percent across the board, and a talented oral surgeon whose patients carefully follow all instructions can achieve a success rate greater than 98 percent.